Joining us this year as an alumni contributor, Safinah Hidayati Hambali shares her experience since graduating from the Diploma Programme (DP). This is her second story of the series. Throughout my years of study and life in general, I’ve endured countless stressful situations. But my friends, family and colleagues can attest that I’d somehow be positive through it all and there’ll be a smile plastered across my face. Looking at the glass half full instead of empty is probably the better attitude to have when you’re overwhelmed. Being a dentist can be a highly stressful profession especially when most hate going to the dentist. My patients commonly ask me “Why did you choose to become a dentist?”. The truth is I never grew up wanting to be a dentist. I pretty much had the same negative perceptions of dentists. I had never undergone major dental treatment growing up and had never experience a moment of inspiration to become a dentist. I just somehow found myself at a course information session and thought to myself “Hey this doesn’t sound too bad”. Being a dentist is definitely not a job for everyone and if you’re looking for something easy, dentistry is not it. But then again, there is no such thing as an easy and simple career. 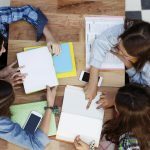 What I’ve learnt since my days as an International Baccalaureate student is that you don’t necessarily know what’s best for you or what you should ideally pursue at the young age of 18. To answer the question as to why I chose this career path, honestly, dentistry ended up choosing me. Until I was immersed in the profession, I realised that being a dentist allows me to get the most out of my life. Discovering who you are as an individual is part of growing up. Part of the process involves learning that we should not be quick to judge. Our perceptions and stereotypes can negatively shape our attitudes. As a consequence, our outlook on life becomes narrow and we miss potential opportunities. As young naive adults, we can be too quick to decide what box we want to fit in when we haven’t given ourselves a chance to explore other avenues and figure out what we truly enjoy and where our passion lies. Learning to think outside my box, means living a life with no regrets. The fear of failure is the basis of our hesitation when venturing out of our comfort zones. Our fears cause stress and anxiety. When we start to stress about how much we have on our plate, we end up accomplishing nothing. 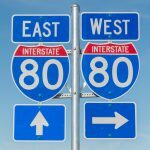 Many young adults are easily overwhelmed and as a result we often choose the easy way out. When we do so, we end up with an outcome that we may not be happy with, but we say to ourselves “It will have to do”. With endless distractions and short attention spans, we’re more than often stressed and overwhelmed. My advice when it comes to beating stress: first and foremost, don’t be too hard on yourself. Set goals that are manageable and realistic, break them in smaller parts if required. When you find yourself procrastinating and achieving nothing, take a break so you don’t feel like you’ve wasted a chunk of time. If you’re sitting down to start your extended essay, be more productive by planning to work in 30-minute bursts of concentration. And when you do achieve your goals, always treat yourself a little. After completing my IB diploma, Bachelor and Masters degrees, I’ve come to the realisation that the stressful situations we find ourselves in, are a test of our mental strength. These are opportunities for us to discover ourselves and learn how we can improve and manage these situations better next time, because there will always be a next time. There is nothing wrong with making mistakes, the key is not to repeat the same mistakes. Safinah Hidayati Hambali graduated from Ivanhoe Grammar School with the IB diploma in 2009. 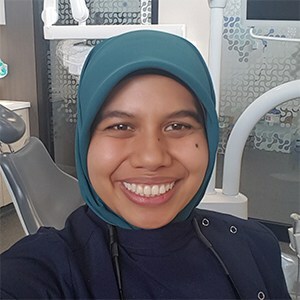 She further completed a Bachelor of Biomedicine and Doctor of Dental Surgery at The University of Melbourne and is currently a practicing General Dentist in Melbourne, Australia.